The rupee, which hit a fresh record low on Tuesday, falling to 63.70 against the greenback, has been one of the worst performing currencies this year, declining 15 percent against the U.S. dollar since the start of 2013. This is 63 percent lower than highs of 39 seen in late-2007. While the free-fall in the rupee threatens to worsen India`s economic fundamentals by widening the trade deficit and stoking inflation, the country`s citizens living overseas aren`t sweating it. Infact, many opportunistic Indians working abroad are rushing to transfer money back home in order to take advantage of the never-before-seen weakness in the currency. “I understand from friends that some Indians are even borrowing money in Singapore to take advantage of the exchange rate, and send money home,” he added. The rupee, which hit a fresh record low on Tuesday, falling to 63.70 against the greenback, has been one of the worst performing currencies this year, declining 15 percent against the US dollar since the start of 2013. This is 63 percent lower than highs of 39 seen in late-2007. The currency has been a target of heavy selling since the escalation of concerns over the Federal Reserve tapering its bond buying and because of worries over the India`s large current account deficit. Overseas remittances are an important part of the country`s economy, say economists, with the country receiving USD 33 billion in workers remittances in the fiscal year ending March 2013, according to HSBC. “If you look at total current account deficit USD 87.8 billion last fiscal year, workers remittances are pretty sizable,” said Leif Eskesen, Chief Economist for India and ASEAN, HSBC Global Research. However, economists say an increase in remittances for a few months is unlikely to be a “game changer” for reducing the deficit given the country`s high level of oil and gold imports. Still, for non-resident Indians (NRIs), the issue at hand is how much their hard-earned foreign cash can amount to once sent home. 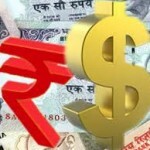 On social networking site Twitter Indians living abroad shared news of the rupee`s fall and the benefits that provided. In London, a spokesman from the Bank Of India UK, while not able to disclose precise figures, did confirm that there had been a marked increase in remittances over the past few weeks. 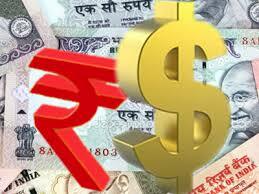 The rupee hit a new log 100.35 against the British pound on Tuesday morning, before recovering a bit to 99.6. Western Union, which provides money transfer services prominently advertised its service for Indians living in the UK on its website on Tuesday. The weak rupee is also helping those looking to book hotels in India. Srinivas Patnaik, who is based in the London office of Siddharth Travels, an Indian travel company, told CNBC that a lot of people were trying to pre-pay or upgrade to take advantage of the weaker currency right now.